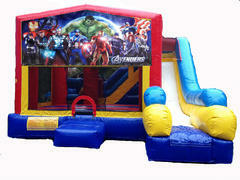 7N1 Combo is perfect for any party!! 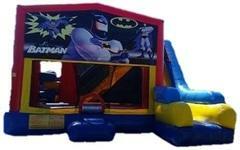 It can also be used with any themed panel we have in stock! Our 7N1 Combo features a bounce area, basketball goal on the inside and outside too. 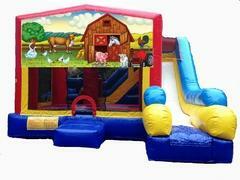 It also includes an obstacle area both horizontal and verticle, stairs to the slide, and yes a fun slide too! We applied the themed art panel Firemen on a Mission to the front for all of our little future firemen to enjoy! 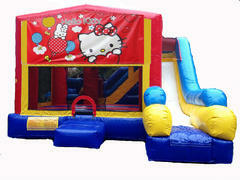 Hey there Hello Kitty fan! 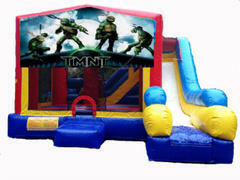 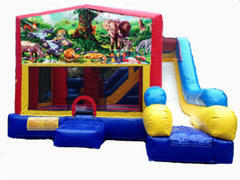 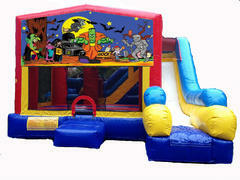 This unit has lots of fun activities for your party. 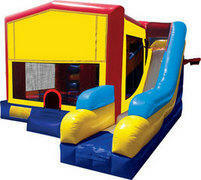 It includes a jump area, basketball goal, obstacle pop ups, stairs and a fun slide all in one! 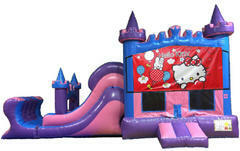 Princess Castle Combo with the Hello Kitty Panel applied to the front. 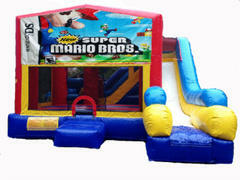 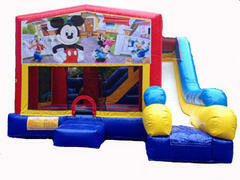 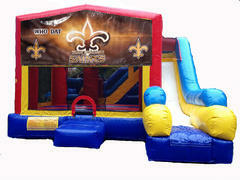 13 x 13 bouncing area with basketball goal, ladder inside & a fun slide. 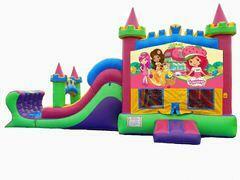 Your little princess will love it! 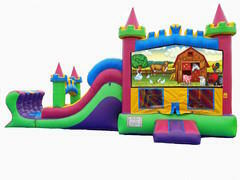 The New and Improved KING CASTLE COMBO III! 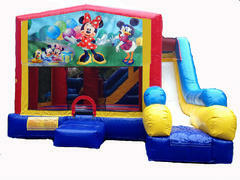 Is great for both boys and girls! 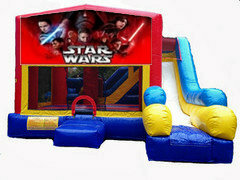 Apply a panel to the front if your having a themed party! 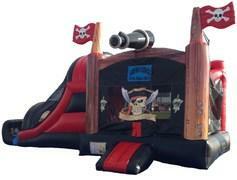 Awesome Dual Lane Slide Combo Pirate themed! 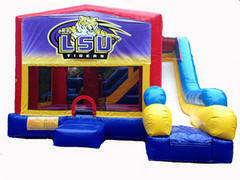 It also has a basketball goal inside and sure to be a hit at your next event! 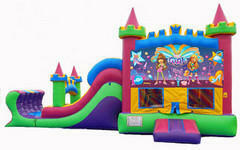 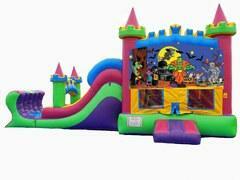 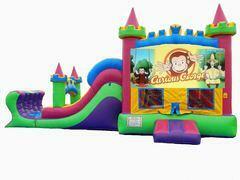 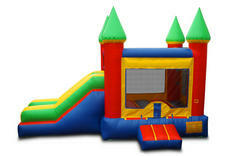 Pink, Purple and Blue Princess Castle Combo with a Bounce Area, Slide and Basketball Goal will be Sweet Fun at your Event! Side Slide Combo is great for boys and girls! Smaller unit for a smaller yard but still a large amount of fun!